Data will not be diffused, they may be communicated by Fratelli Radice S.r.l. to companies contractually linked to Fratelli Radice S.r.l. , to third parties responsible as Data Processors belonging to the following categories: internet providers, companies specialized in marketing activities and IT and telematic services. Your data may be transmitted to the police forces and to the judicial and administrative authorities, in accordance with the law, for the detection and prosecution of offenses, the prevention and protection from threats to public safety, to allow Fratelli Radice S.r.l. to ascertain, exercise or defend a right in court, as well as for other reasons related to the protection of rights and freedoms of others. The transfer of your personal data to countries that do not belong to the European Union and which do not ensure adequate levels of protection will be carried out only after the conclusion between Fratelli Radice S.r.l.. and those subjects of specific agreements, containing safeguard clauses and appropriate safeguards for the protection of your personal data, also approved by the European Commission, or rather if the transfer is necessary for the conclusion and execution of a contract between you and Fratelli Radice S.r.l. or for managing your requests.  You can assert your rights as expressed in the 2016/679 EU Regulation, by contacting the Data Controller, sending an e-mail to info@fratelliradice.com or writing to the office of the owner indicated above. You have the right, at any time, to ask the Data Controller to access to your personal data (Article 15), the correction (Article 16) or the cancellation (Article 17) of the same, or the limitation of processing (art. 18) or to oppose their treatment based on legitimate interest (Article 21). In the end, he has the right to the portability of his personal data (Article 20). The processing of your personal data is carried out by Fratelli Radice S.r.l.. compliance with the regulations on the subject provided for by Regulation (EU) 2016/679 general regulation on data protection, the rules on the processing of personal data and Italian measures of the Supervisory Authority (http://www.garanteprivacy.it).